Fig. 9. 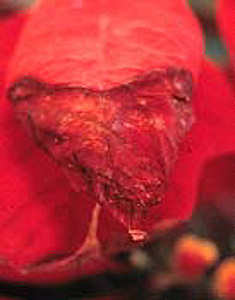 Brown spots on poinsettia bracts caused by Botrytis.